India's number one man between the posts, Gurpreet Singh Sandhu has officially signed for ISL bigwigs, Bengaluru FC today. This is a big coup for the Blues in what will be their first campaign in the Indian Super League. It was confirmed yesterday, on Norwegian league's deadline day that Sandhu has left Stabaek FC with mutual consent and is looking for a club back home. The rumours gained pace since yesterday and with the move being made official today, there is widespread joy among the Blues. Sandhu was in Norway for three years but could not nail down a starting berth regularly. A string of bad performances saw him getting relegated to the bench this season. Nonetheless, his stint for Stabaek FC can be called as a success where he became the first Indian player to feature in the prestigious Europa League. Bengaluru FC released a video on Twitter to announce the signing of the 25 year old custodian. On penning a new chapter in his career, Sandhu said, "I'm extremely delighted to have signed for Bengaluru FC. While the experience of playing in Europe was fantastic, lack of game time was an important factor in making the decision of moving back to India. I had an offer from another top-flight club in Europe, but the need to play regularly ahead of the AFC Asian Cup in 2019 was something that was on my mind." The 6 foot four inches tall, Sandhu also tweeted a photo of his in the Bengaluru FC colours with the caption, "I'm Blue." Sandhu was earning just €3500 per month at Stabaek FC which was very low for an Indian international. Salary along with regular game time paved the way of return for India's premium goalkeeper. In the ISL, Sandhu is tipped to be the highest paid custodian, beating Amarinder Singh who was signed by Mumbai City FC for Rs 1 crore 20 lakh rupees. Bengaluru FC were in the market for a goalkeeper and had not signed one in last month's ISL draft pick. 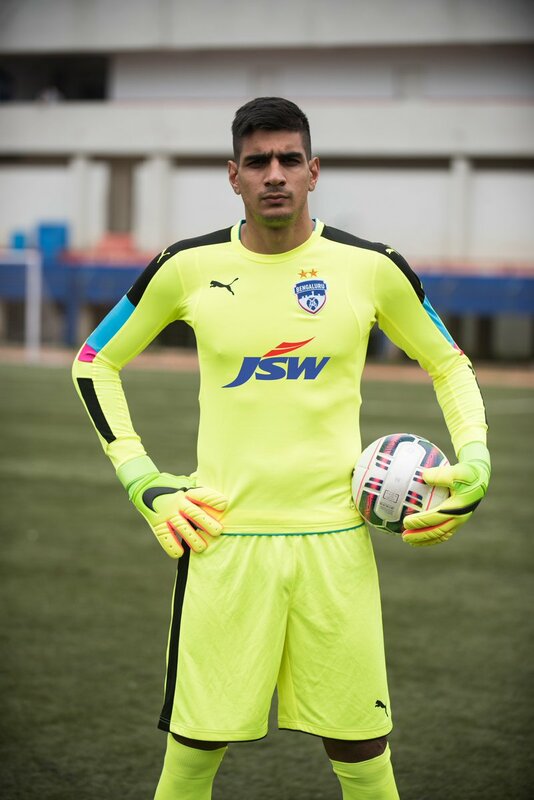 The signing of Gurpreet Singh Sandhu can prove to be an inspired one where Bengaluru FC will try to replicate their fine form to win the ISL on the first try, just like they did in the I-League. Meanwhile, Sandhu will join his new teammates tomorrow who are in preparation for the club's highly anticipated AFC Cup match against April 25 Sports Club.